The tools were informed and inspired by person-centred thinking and planning, Neuro Linguistic Programming (NLP) and approaches to creativity and problem-solving. Some of the tools were developed by The Learning Community for Person-Centred Practices and are used with permission. The cards are intended to be used in conjunction with specific advice from your CCG or Local Authority. The ‘What does good care and support planning look like?’ card was developed by the National Coproduction Advisory Group for Think Act Local. 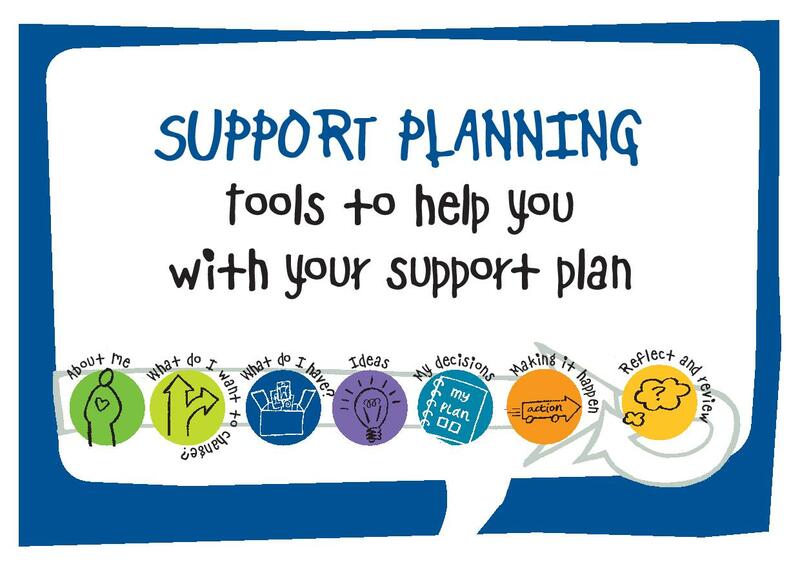 Personal and Coalition for Collaborative Care and is reproduced from the Care and Support Planning Guide. It is part of a suite of resources commissioned by the Department of Health in partnership with the Local Government Association and the Association of Directors of Adult Social Services.